Olympus 2011 is an event that many in the US rallying world will never forget. On Smith Creek, a classic Doo Wop stage, a rallyist from the midwest, Matthew Marker, lost his life. His passing had a profound effect on a number of rally people on all sides of the sport and was, from my understanding of the situation, a true accident that none of our safety gear could have prevented. A number of rallyists make it a point to do some kind of memorial activity for the driver of car 65 every Olympus. It is hard to talk about results given the circumstances in which they were obtained. We had dual-entered the national rally and the regional rally in order to participate in the Max-Attack championship that year. Needless to say, the national rally was over after the news of the fatal accident was shared. After some discussion, the regional continued on the second day as a tribute to the sport that Matthew loved. 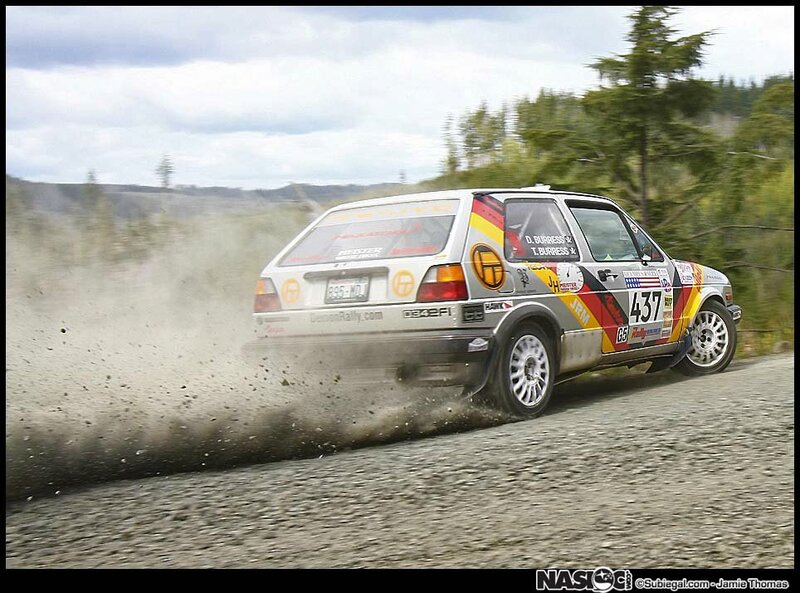 We did our best to honor him on the last running of some of the northwest's greatest stages, for after the loss of Ray Damitio (the organizer of the Doo Wop rally series) and then this accident, the stages have not seen a rally car driven in anger since. It's a great loss, but not as great as the loss of Ray and Matt.